The time has come for the economics profession to step up to the plate and recognize that it needs to face a cruel economic fact. Here is that fact: If the profession and those who follow its dictates continue to disregard our ecological challenges, there will be for all life on this planet decade by decade enormous pain and suffering ‑ and possibly the end of our species. Many physical scientists are warning us of this. And they are telling us that irreversible tipping points will begin within the next fifty to one hundred years. Yet, there is relative silence among economists and those in the financial world. In and out of economic academia there is a willful absence of understanding that free markets without recognition of negative social and/or ecological costs are the primary cause of our problem and that without such recognition, forces are being set lose that are literally “eating up” our planet. 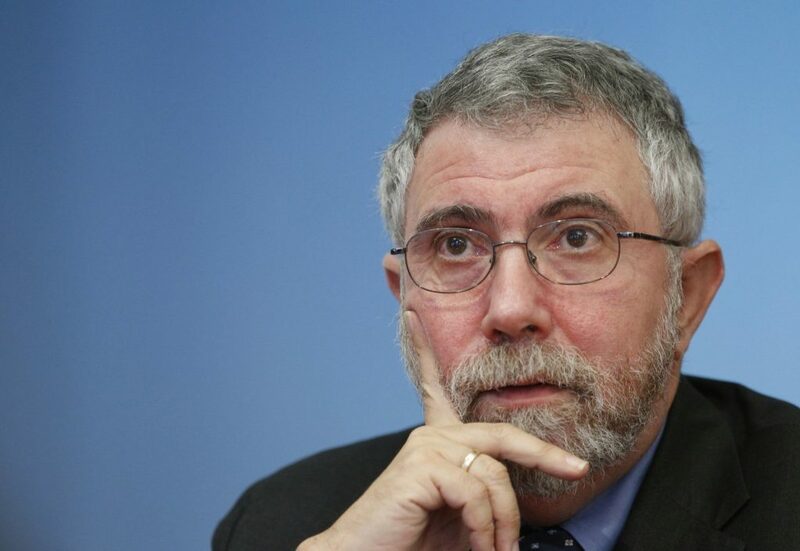 So here Dr. Krugman is my open letter to you. As one of the most distinguished Nobel Prize economists and an op-ed writer for the NY Times, it asks for your confirmation of this writer’s (joined by many others in and out of academia) insight. It asks you to play a key role. For many years now I have been reading your op-eds in the New York Times. In my mind you are one economist who speaks the truth to the weaknesses and strengths of past and present economic theory. With all due respect though; let me suggest that the time has come for economists like you to take a long hard look at a fatal flaw in the economic theory that the world has for so long accepted as having intrinsic value. Your profession needs to begin an articulation of new theory that will meet the pressing ecological planetary challenges confronting our species. The architecture that grew out of the industrial revolution, on which capital markets today justify their operation, now finds its “raison d’etre” shaking under its own weight. The cold hard fact is that this architecture has not only seen its day; it is like an insidious disease working against human survival. All around us there are indications of this failure of economic theory; from the acidification of the oceans, to the increasing CO2 in the air, from the hundreds of millions of tons of highly toxic non-biodegradable chemical waste (i.e. plastic trash that won’t disappear) on our land and in our waters, to the dying off of other forms of life on the planet. And the failure extends well beyond these observations. The message is clear. Planet Earth is rejecting our capital market economic system. The key fault lay in the unfettered operation of the markets. They have grown to a size where they are energizing ecologically and socially destructive forces of a magnitude that has never before been seen human evolutionary history. Resource allocation is being misguided and misappropriated on a massive scale. Irreparable planetary damage is being done. Fingers can be pointed in many directions for this such as human greed, political dysfunction, and just plain stupidity; however, the rules under which capital markets have been operating since they took form from the beginning of the Industrial Revolution onward must take primary blame. Your profession has failed to come forward with new ideas to stem the tide. You and those like you need to be thinking and writing and speaking about new economic theory. It is not happening. Physical scientists throughout the world have been describing the ecological problems with great clarity; it is time for economists to offer economic solutions. How can we mechanistically achieve this? Negative external costs and positive incentives must be built into every investment decision. And these costs and incentives must be applied to every human economic activity; from the mine to the chemistry lab to the assembly line to the opera house to the athletic field to the hospital, at the time of entry into the market. Economic outcomes with negative social and/or ecological value must be recognized. Negative Externalities need to be measured and priced in up front so as to discourage, temper, or at the extreme eliminate investment. In our present world, none this is happening on a broad enough scale to make a difference. We see punitive cigarette and liquor taxes and some others like them, but across the board, any form of build-in of “negative external” cost reflecting ecological considerations is almost nil. The chemical industry rules over the agricultural. Disincentives/Incentives in vital areas like energy are being very poorly handled or not at all. The most simple questions such as; is this or that delivering real worth to society and to the health of the planet are being avoided. As I am certain you are aware; some progress is being made in northern Europe, but I am sure you will agree with me that on a world scale it is insignificant. Humanity is crying out for an entirely new form of economic/monetary theory. Social/political theory must necessarily be a part. A response is coming from some enlightened intellectuals in the world community; however, there is at present no universal consensus, nor are there long term solutions at hand. The mindset of our species remains in social political economic gridlock. Your economics profession remains notably silent, content on using its advanced theories for trading purposes and further planetary exploitation, but not for the above. Will our great and great-great grandchildren find themselves at the bottom of Dante’s inferno with no escape? There is this possibility. The time has come for humanity to recognize that unless it can change the way it prices what it desires to consume, the biblical prophecy of the end of times may very well prove to be self-fulfilling. He has written four books. The fourth is about a necessary geo political, social, religious, economic paradigm shift for human survival.